Katie Rose Clarke in "Wicked"
Popular Wicked alum Katie Rose Clarke is rejoining the hit Broadway musical. 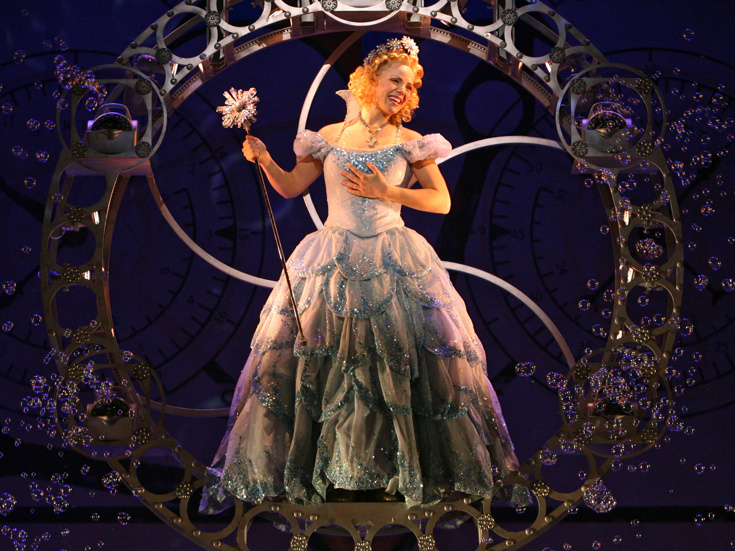 Clarke will return to the role of Glinda on December 11, replacing current star Amanda Jane Cooper, who will play her final performance on December 9. In addition to prior turns in Wicked, Clarke has been seen on Broadway in Miss Saigon, Allegiance and The Light in the Piazza. She most recently appeared in the world premiere Huey Lewis musical The Heart of Rock & Roll at San Diego's Old Globe. As previously announced, also joining the cast on December 11 will be Jesse JP Johnson as Boq, with Nancy Opel and Jamie Jackson joining the company on November 20 as Madame Morrible and Doctor Dillamond, respectively. The current cast includes Jessica Vosk as Elphaba, Kevin Chamberlin as The Wizard, Ryan McCartan as Fiyero and Kristen Martin as Nessarose. Wicked features a book by Winnie Holzman, a score by Stephen Schwartz, direction by Joe Mantello and choreography by Wayne Cilento. The show recently celebrated its 15th anniversary.